WordPress is an excellent solution, in part because it makes running your website simple. However, if you have multiple sites under your care, you’re still going to struggle when it comes to juggling everything that’s going on. You have to schedule content for all of them, stay on top of updates, reply to comments, and more. It’s a lot of work, even for someone with plenty of WordPress experience. Fortunately, WordPress provides you with its own tool to help you manage multiple websites. It’s called Multisite, and you can activate it for both new and existing sites. Once that’s done, you can add as many websites as you want to your network, and run them all from a single dashboard. In this article, we’re going to talk about what Multisite is, when to use it, and when not to. Then we’ll teach you how to set it up for new and existing Hostinger sites. Let’s get to it! Multisite is a powerful tool that enables you to manage a network of sites efficiently. Multisite is a WordPress feature that enables you to manage multiple websites from a single dashboard. The platform refers to this conglomerate of sites as a network. Once you’ve set up Multisite, you can add as many websites as you want to that network. You can do almost everything from a single dashboard. Having to keep track of credentials for multiple websites and jumping from one to the other can be frustrating and time-consuming. With Multisite, you just need to keep track of a single set of credentials to handle everything. You can publish new content for your websites. Multisite enables you to access the same WordPress editor you’ve always used, and use it to publish new content for any of your pages. It enables you to handle themes and plugins for the whole network. As a Multisite administrator, you can choose which themes and plugins are available for your network. If you’re not the only one working on a particular page, you’ll appreciate that your collaborators can’t just set up any plugin they want, for example. Nothing goes on in your network without your approval! Network-wide user management is streamlined. Finally, Multisite also enables you to add new users to your network and set their roles. That means you don’t need to go into each site’s individual dashboard to add collaborators or review permission levels. WordPress updates are easier to deal with. As the network administrator, you can update all your sites to WordPress’ latest version as soon as it’s available. The process works much the same as with individual websites – you get a notification, and you can update all your sites together whenever you’d like. 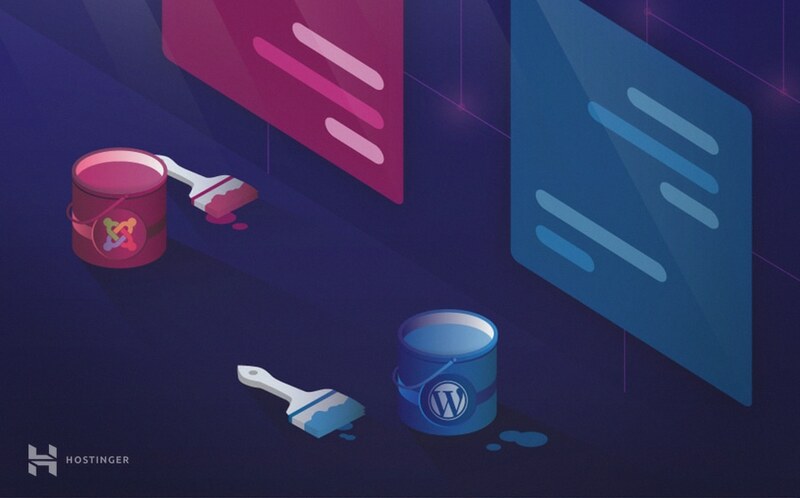 Aside from Multisite, there are plenty of other tools that enable you to manage multiple WordPress websites. For example, you can use services such as ManageWP and MainWP. The main difference between Multisite and these platforms is that they enable you to link websites from different hosts. In practice, this means you could conceivably manage a network of sites from all over the world. As far as other features go, most tools in this field offer all the functionality we mentioned earlier. However, a lot of them are premium services that charge you for advanced features. That’s not necessarily a bad thing, but it also means there’s a time and a place to use Multisite as well. Let’s talk about what some of those situations are. You have a network of personal pages that don’t require individual hosting. 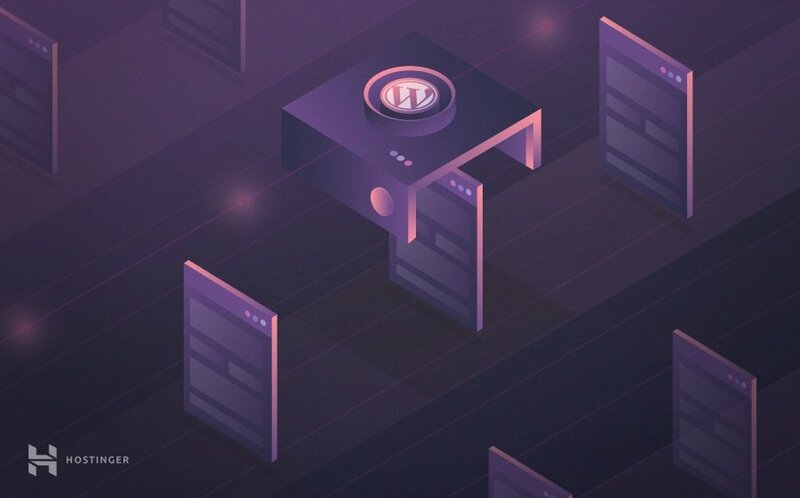 If you’re comfortable with sharing hosting and you’re running multiple WordPress sites, Multisite is the natural choice. You need to manage client websites. If you offer hosting services as part of your web development projects, you may want to consider including those sites in your network. Of course, that will depend on whether your clients want you to provide post-setup support or not. If they don’t, your best move is to host each site separately. You’re creating a complex website that requires multiple subdirectories or subdomains. WordPress Multisite enables you to add new sites to your network using either subdirectories or subdomains. This is a perfect fit for complex websites that need to be separated into specific sections, such as a blog and a shop running side by side. Multisite is a powerful tool, but it’s not perfect for every situation. For example, it doesn’t enable individual site owners to use any plugin or theme they want, which means they’re at the mercy of the network’s administrator (you, in this case). If the people working on your network need full access to WordPress’ features, they should probably opt for individual setups. In addition, all the sites on your network will share the same IP, due to how Multisite works. This isn’t a problem in most cases, but if you want a unique address for each of your sites, Multisite is out of the picture. At this point, you probably know whether Multisite is a good fit for your needs or not. If you’re interested in checking it out, read on to find out how to get started. Multisite is a feature that’s already built into WordPress, but disabled by default. This means that you simply need to enable it, which you can do for both existing and new sites. However, it’s often best to create an entirely new setup instead of using an existing website. The process works much the same in both cases, but the former option enables you to choose between using subdomains or subdirectories for your individual sites. We’ll talk more about that in a minute. For now, however, let’s focus on what you’ll need to get started. Before you set up a Multisite network, you’ll want to sign up for a web host if you haven’t already. Naturally, we recommend you use one of our shared hosting plans, which are fully optimized for WordPress. The signup process is quite simple, and when your account is ready, you can install WordPress by following this tutorial. You’ll also need an FTP client to complete some of the steps below. We recommend FileZilla, and you’ll find that it’s quite easy to access your Hostinger website using it. Access to a web host. A brand new WordPress installation. An FTP client – such as FileZilla – and your login credentials. Once these three elements are ready, you can move on to the first step. We’re jumping right into the deep end here, but don’t panic – the process is actually quite straightforward. The first thing you need to do is locate and edit your wp-config.php file, which is where your installation’s main settings are stored. Open your FTP client, and access your website using your credentials. Navigate to your root directory, which is most often called public_html, but can also show up as www or your site’s name. Look for the wp-config.php file and right-click on it. Choose the option that reads View/Edit. That’s it! This single line of code tells WordPress that you want to enable Multisite. Now, save your changes and close your editor. FileZilla will update the original file on your server with the changes you’ve made. Subdomains are URLs that look like this: blog.hostinger.com. On the other hand, subdirectories show up in this format: hostinger.com/blog. From a purely technical standpoint, both approaches work just the same. Feel free to chose either of them, since you can always point a regular domain towards any of your network’s sites in the future. Right below this option, you’ll also see a couple of fields where you can choose a title for your network and enter an administrator email address. Do so now, and click on the Install button. After a moment, WordPress will present a new set of instructions that we’ll cover in the next step. Now we’re going to repeat the same process with the .htaccess file, which is located in the exact same directory as wp-config.php. All you have to do is close wp-config.php, look for .htaccess, right-click on it, and pick the View/Edit option once more. Save your changes to .htaccess now, and access your dashboard once more. Clicking on this will enable you to jump between your Network Admin dashboard and that of your original website. You can still use the original site as you would any other. So for all intents and purposes, it’s your network’s first website. Multisite contains a lot of features that you’ll need to learn how to use. We’ll talk more about those in a moment. First, however, let’s talk about how to enable Multisite for websites that have been around for a while. Activating Multisite on an existing setup also has another downside. If you’ve added custom rules to your .htaccess file, they’ll be lost when you replace it with Multisite’s code. You can always copy and add them again to each site on your network after setting it up, but this is still a hassle. Enabling Multisite on a new installation is almost always the best route, so we recommend you set up a new website just for the occasion if possible. Now that your Multisite network is up and running, you need to learn how to use its main features. Let’s start with adding new sites to your network. If you’ve followed our instructions so far, your network should have a single site right now. However, one site does not make a network, so let’s get to work on adding more of them right away. Mousing over any of the sites in your list will display options to edit it, visit it, or access its dashboard directly. That last choice enables you to jump right in without having to input your credentials. You can repeat this process to create as many sites as you want. Keep in mind that enabling a theme or a plugin for your network doesn’t automatically turn it on for every website. It just gives you the option to do so. Also, as the network administrator, you’ll need to update your plugins and themes as you would for any other WordPress website, to keep all of your sites in top form. By default, Multisite disables user registration on all sites in your network. You can either turn this feature off (which we’ll cover in a minute) or add users to each of your sites manually. Personally, we favor the latter approach, since it gives you full control over each new account. On the next screen, look for the option that says Super Admin, and tick the checkbox next to it. Now your network has one extra pair of hands to help you administer it. Keep in mind that granting any user full admin privileges to your website(s) is usually discouraged, unless you have full trust in them. After all, they’ll be able to tweak your network in any way they want. If you don’t absolutely need someone to have full access to your network, just set up a basic account for them and call it a day. Multisite comes ready to use out of the box. You don’t have to tweak any of its settings if you don’t want to, but it’s always a smart idea to take a look under the hood anyway just to see what options you have. Go right ahead and navigate to the Settings > Network Settings tab in your network dashboard now. As the network administrator, you probably want to reserve the ability to add new sites to your Multisite setup. Scroll down further, and you’ll see options to modify your site’s welcome emails and other similar settings. With that out of the way, let’s move on to updates. Last but not least, Multisite enables you to update WordPress core for all the sites in your network simultaneously. If there’s a new version of the platform available, you’ll see a notification on your dashboard’s main screen, just as with regular WordPress sites. When the upgrade is finished, WordPress will show you a success message. This simple process will help you keep your WordPress websites running in top shape. WordPress Multisite is a powerful tool that can help you manage multiple websites with ease. Being in charge of multiple WordPress sites is a lot of work. However, Multisite can make your life easier by streamlining many of your management tasks. Plus, you’ll get to tackle them all from a single dashboard, which makes the process much less painful. Update your wp-config.php and .htaccess files. Do you have any questions about how to activate and use WordPress Multisite? Let’s talk about them in the comments section below! Some really interesting information. Well written and broadly speaking – user friendly!